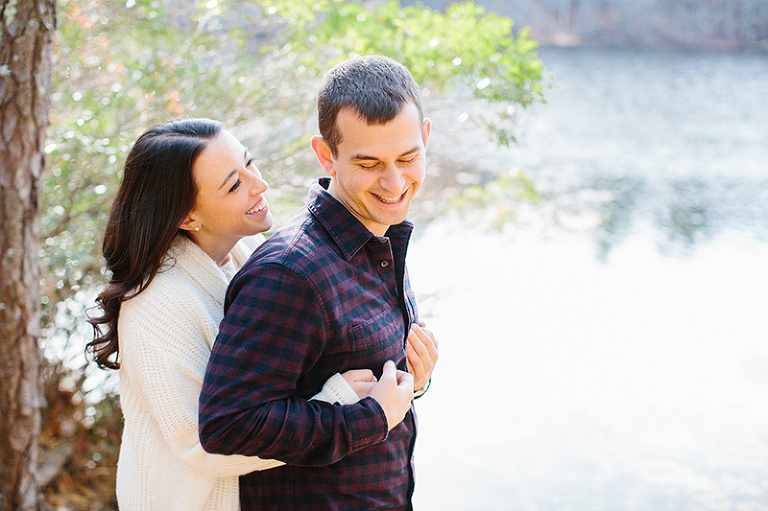 We absolutely love walking around Eagle Pond near our home – a great place to let our dogs play and swim – and I’ve always wanted to photograph there in the fall! 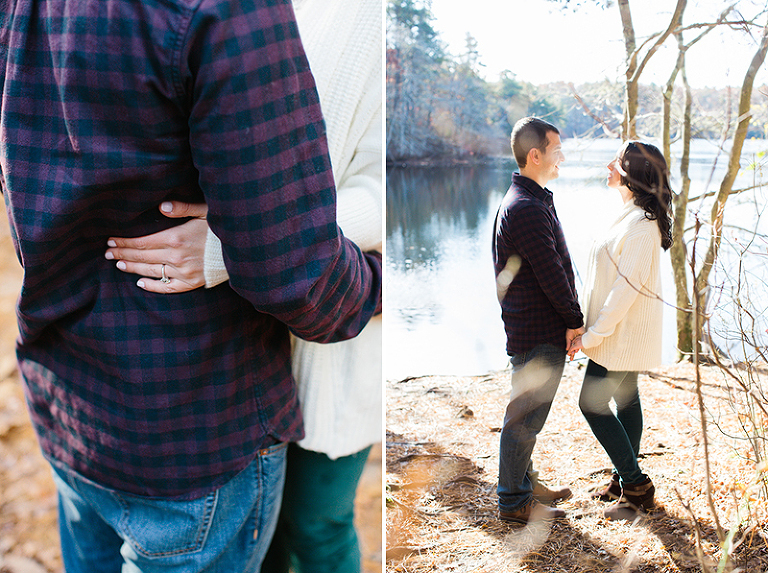 Lucky for me, Julie and Dave love spending time at their family’s home nearby and we chose to capture their engagement photos at the pond! When I first met these two, I walked into a home FILLED with family. Intimidating perhaps, but they were immediately the kind of loveable, huggable family I’ll have a hard time calling just “clients”. 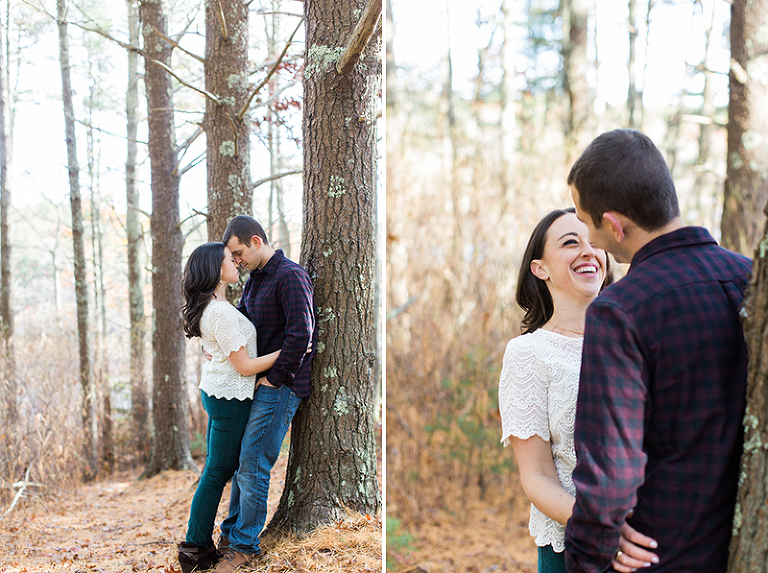 I can’t wait to celebrate their incredible wedding day next August in Chatham! Late fall makes for beautiful photos. 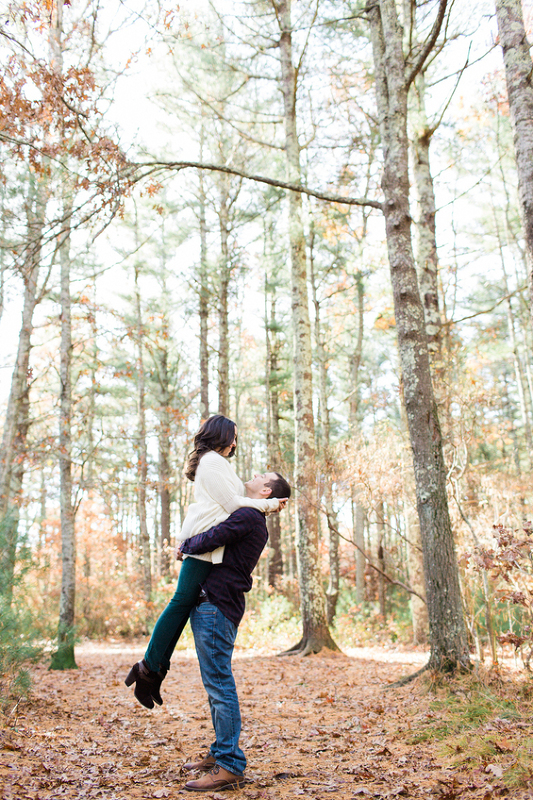 There’s still foliage on the ground, and the trees are twiggy and gray. We also made our way out to a beautiful field for its yellow November display! Julie and Dave are just the most natural snugglers :-) I love that they were so willing to lay down in the grass! And we made our way over to the nearby town-way-to-water just a half mile away, on the road back to both of our homes. Pretty cool for me to be approximately 2 miles from home on a Saturday morning! These photos are absolutely magnificent! 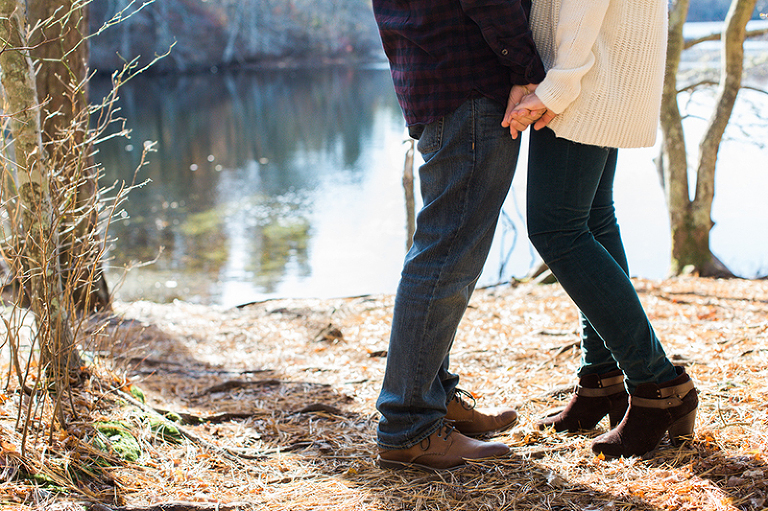 Not only is the setting gorgeous and a wonderful choice for the autumn engagement shoot, you really captured the essence of Julie and Dave. They really are snugglers and love to play around; at the same time they are hugely romantic. The pictures reflect it all! I can’t wait for the whole family to spend August 2nd with you!